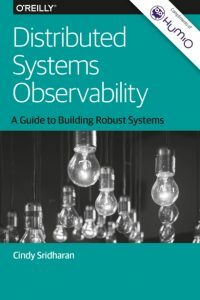 “Distributed Systems Observability” is a book from Cindy Sridharan (find her on twitter, and medium), available as a free download here (registration required). At a little over 30 pages and 8,000 words, it is not a difficult read, and I definitely recommend it. Pre-release tests are essential, but the ability to debug, monitor and observe your application suite post-release is what allows you to detect, and quickly fix, the production problems that will inevitably rise.